Travelling for business to the U.S. and in need of a cool ride to go to meetings and events? Porsche Cars North America is now offering short-term, on-demand access to Porsche sports cars. The short-term rental pilot, Porsche Drive, offers a wide range of new Porsche models for periods from a few hours to a week and includes white-glove concierge delivery service. The car will be delivered within two hours to the customer's requested location. TravelPulse reports that there are hourly (four-hour minimum), daily, and weekly usage options for current model cars from all Porsche model lines. Prices start at $269 (+ taxes and fees) for four hours in a Macan or 718 Cayman or Boxster, to $2,909 (+ taxes and fees) for weekly usage of a 911. Hertz celebrates anniversary: drive iconic yellow Corvette Z06s! Hertz is celebrating its anniversary by offering 100 Hertz 100th Anniversary Edition Corvettes Z06 – for rent at a number of airport rental locations. 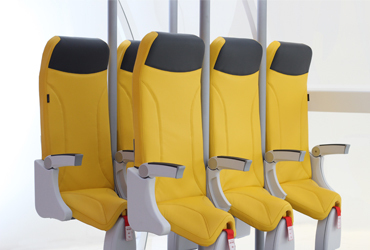 The Italian aerospace interior design company Aviointeriors Group has launched its latest product: a seat that offers slightly more comfort than standing. 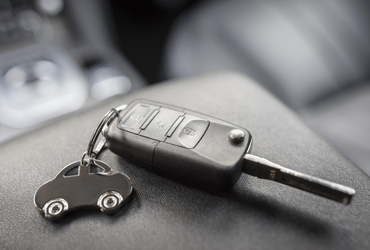 Hertz Asia has launched its Hertz Chauffeur website where business travellers can book chauffeur services for a full/half day and airport/city transfers.